Today, I will tell you how to make Crème fraîche. You might wonder what that is, well, it’s something like whipping cream, but thicker. I guess. 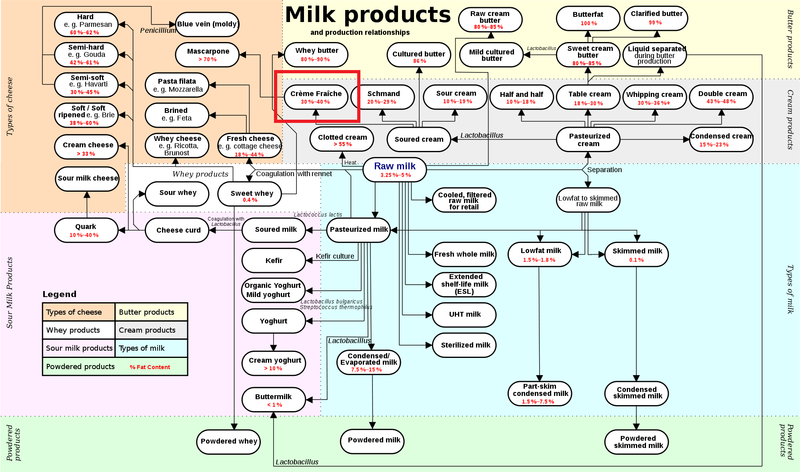 Ahhh, the wonders of Dairy Products are great and I love to broaden your perspective. Honestly, I don’t use Crème fraîche very much at home. I guess it just never really entered my cooking because I wasn’t cooking as much as I do here now. However, I know that it is used to add to soup, like tomato soup. 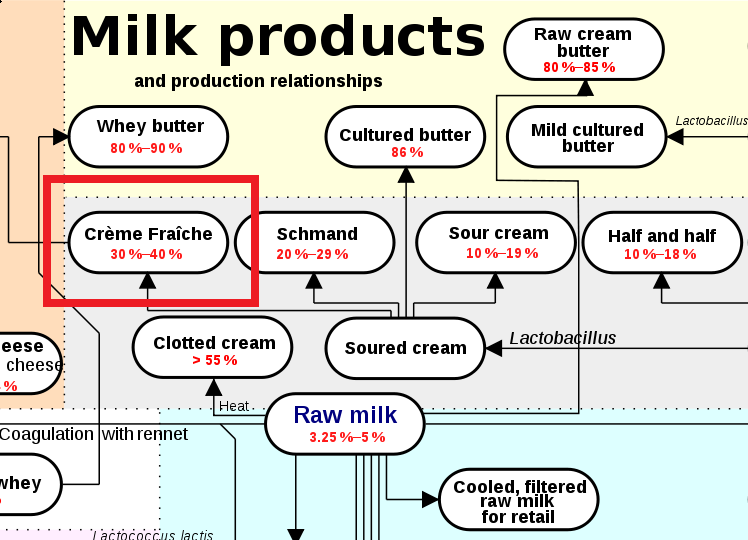 Here is Crème fraîche in the grand schemes of things. That pretty much explains what it is and it is used often for thick sauces, e.g. gravy, but it can also be used for desserts if you add a little sugar. How to make this wondrous thing you ask? Easy! Measure and add the buttermilk to the whipping cream, stir well and cover with plastic wrap. Place the container in a warm spot for 24 hours or until thick and creamy. I had it sitting in my kitchen and that worked perfectly fine. I stirred the cream in between a little and once it was thick I placed it in the fridge. There it thickened perfectly and was almost the consistency of cream cheese when softened. As I said, it can be used in sauces/gravy or soups, makes them real nice and creamy. You can also use it for Onion Tart. Tomorrow I will present you with that recipe. Posted in No baking and tagged buttermilk, cooking, Crème fraîche, French, recipe, whipping cream. Bookmark the permalink. Thank you for the tip on making your own Creme fraiche. It has always been a mystery to me when cooking and having a recipe call for some.